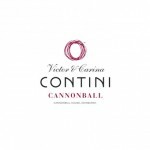 Well renowned and highly rated restaurant Cannonball House recently underwent a refurb on the bar and restaurant area. The facelift designed by Ambience Designs Edinburgh and installed by ECG Joinery included a new restaurant layout, bar area and decor. Rated 5 star on the independent review site trip advisor, Cannonball House has an excellent reputation for food, service and decor. 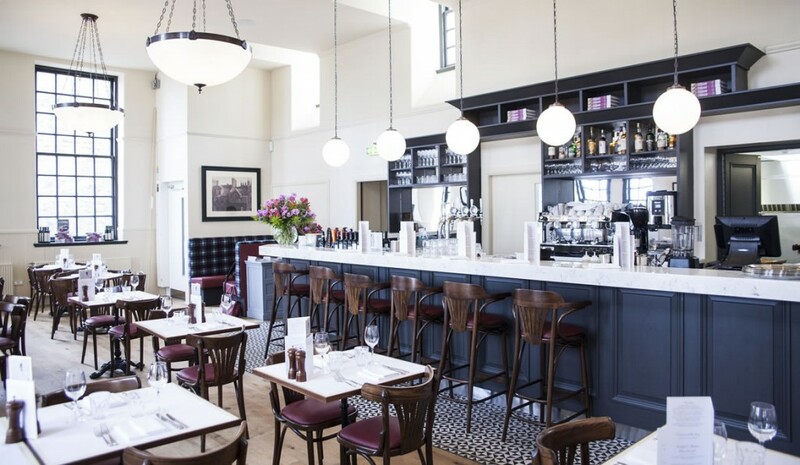 “We were delighted that Cannonball House decided to use Versital for their new bar tops and table tops. As a highly regarded and successful restaurant we understand how important quality is to them. 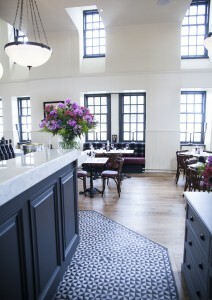 They chose the classic white marble finish ‘Arabesque’ for a look to emulate Carrara marble. They wanted the marble look, but in a waterproof and easy to care for material that would last. Versital’s custom bar tops and table tops were ideal for their needs and could be made to their exact design specifications. Versital bar tops are manufactured from stone resin to the specification of designers, architects or client ready for installation. There are over 90 colour options to choose from in marble, granite and sparkle finish options. Versital also offer stone resin table tops in matching finishes in a large range of sizes. Custom table tops are also available, in the full range of marble, granite and sparkle colour options. Unlike natural marble, Versital cultured marble is 100% waterproof and stain resistant making it a more practical option for high traffic areas such as bar tops and table tops. Versital offers the look of beautiful marble surfaces, but none of the problems they bring. For a customised cultured marble bar top quotation or table top quotation please contact Versital direct on 01204 380780, or send us a contact form.